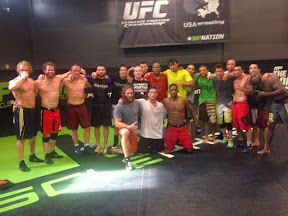 Last week of training before I leave went great! Thanks to my teammates, coaches and supporters and above all, glory to God! God has blessed me with my teammates and coaches at Elevation Fight Team, Factory X, Steadman Hawkins Performance, Easton Training Center, and High Altitude Martial Arts. 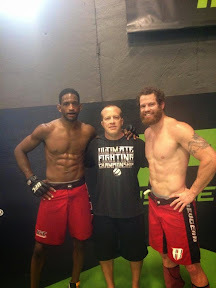 Make sure to check out my teammate, Neil Magny. He's fighting the same night as me. One day soon, he will be headlining shows!